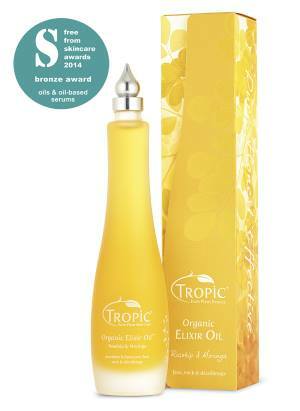 This fabulous Oil, in its beautiful new bottle, is a result of over 10 years research into natural plant oils and their effects on the skin. Our complex blend of Kiwi and Pomegranate seed, Rosehip and Golden Jojoba work in harmony to improve skin elasticity, giving noticeably smoother, more supple and youthful skin in just 4 weeks! The ‘hero ingredient’ is Moringa Oil, derived from the ‘Miracle Tree’. Boasting 1,700 antioxidants and enriched with natural Vitamin C, Moringa Oil is a natural skin brightener- you can see why we named it ‘Elixir’! Absorbs easily into the skin, improving the appearance and radiance of skin. It has skin healthy nutrients like vitamin A, which helps build collagen in the skin, vitamin C to help reduce fine lines and wrinkles, and the healing and anti-inflammatory benefits of vitamin E.
More help for dry skin. Antioxidants and nutrients help fight free radical damage that can cause skin tissue damage and lead to the formation of wrinkles. Plant hormones called cytokinins, which help promote cell growth and delay damage and destruction of skin tissues. 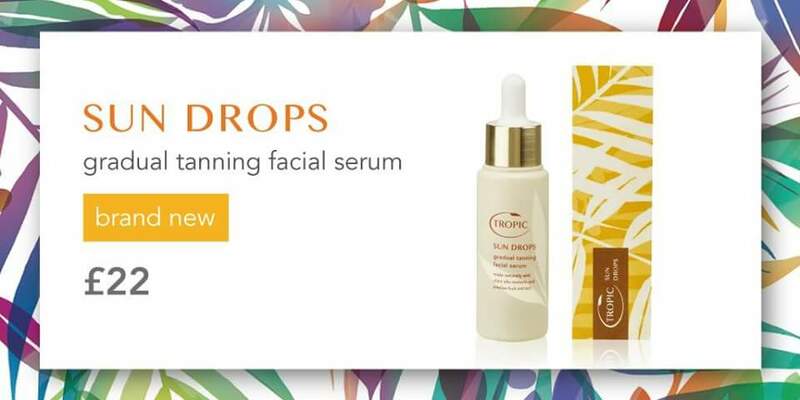 Categories: Skincare | Tags: Chemical Free Facial Oil, Facial Oil, Moringa Oil, Natural Facial Oil, Tropic Elxir Oil, Vegan Facial Oil | Permalink. Bursting with Avocado, Golden Jojoba Oil and Green Tea, our luxuriously indulgent spa facial kit effortlessly melts away makeup and impurities while pure Eucalyptus Essential Oil works to uplift and refresh your senses. Be sure to use our supersoft 100% Organic Bamboo Cloth to buff away dead skin cells and reveal a fresh, radiant complexion. Also contains our 100% Organic Bamboo fibre face cloth, which is naturally antibacterial and super soft to gently buff away dead skin cells and smooth your skin. Unlike conventional cotton muslin face cloths, our face cloths are made from 100% organic, highly sustainable bamboo shoots which grows an average of 100cm a day! They never smell and become softer with every use. Our 100% Organic Bamboo face cloth comes wrapped around our Smoothing Cleanser within the box. This saves packaging and is kinder to the environment! 1. Apply 2-4 pumps onto your hands and rub your hands together to warm the cream. 2. Gently massage cream onto dry skin to effortlessly dissolve all eye makeup, including stubborn mascara. 3. Rinse off the cream with warm water. 4. Reapply the cleanser onto wet face and neck to ensure a really thorough clean. 5. Run the 100% organic bamboo fibre cloth under warm water, wring and place over your face for a few seconds to steam and open pores, then gently exfoliate your skin in circular and upward motions, focusing on the T-Zone and jawline. 6. Splash your face with cold water to close pores and follow with Tropic Vitamin Toner Refreshing Spritz. For use as a Cleanser simply follow steps 4 to 6 from above. Categories: Skincare | Tags: Home Spa Facial, natural skincare, Tropic Cleanser, Tropic Smoothing Cleanser, Vegan Cleanser | Permalink.